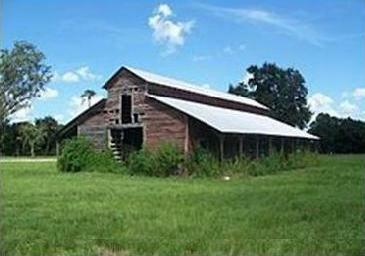 The Red Barn is an historic building located on the Brighton Indian Reservation in Glades County, Florida. It was built 1941 with help from the Civilian Conservation Corps to serve the Seminole cattle business. It has a dirt floor and rests on a concrete block foundation. Its roof was replaced 2005 as a result of a Hurricane. On December 24, 2008, it was added to the National Register of Historic Places.